Snowbombing 2019 will be the 20th anniversary of the legendary electronic music festival combined with skiing and snowboarding! The Snowbombing lineup includes grime, techno, big beat, house music, hip hop, dubstep, drum and bass and more! 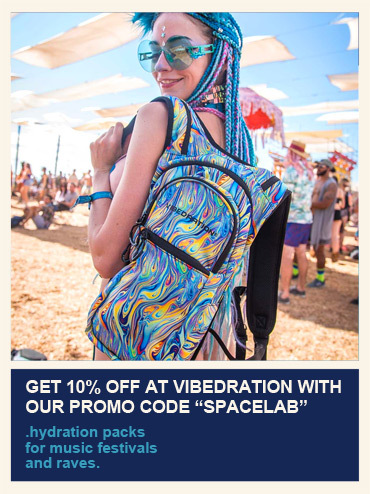 Snowbombing tickets are on sale! 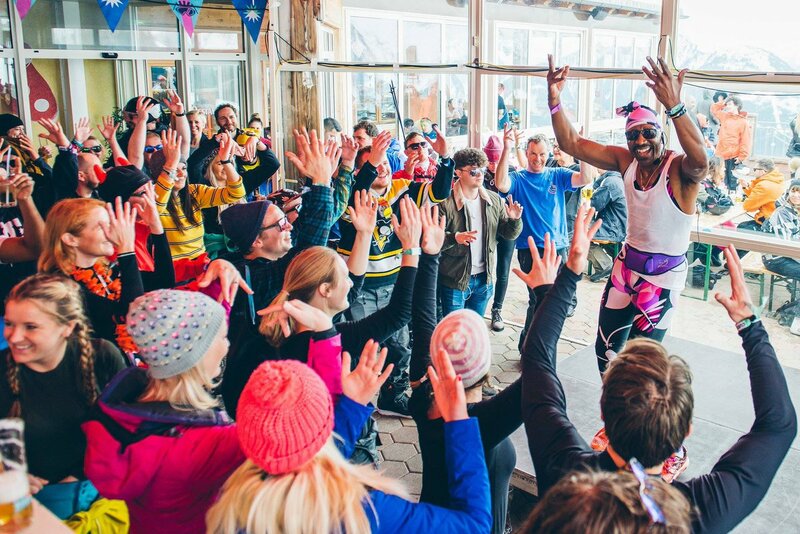 Austria's Snowbombing is a festival like none other in the world, offering live music and dj sets alongside the Austrian slopes. Ski by day, party by night, and never sleep! It's brilliant, innit?! 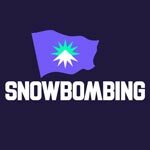 The Snowbombing dates are April 8 - 13, 2019. 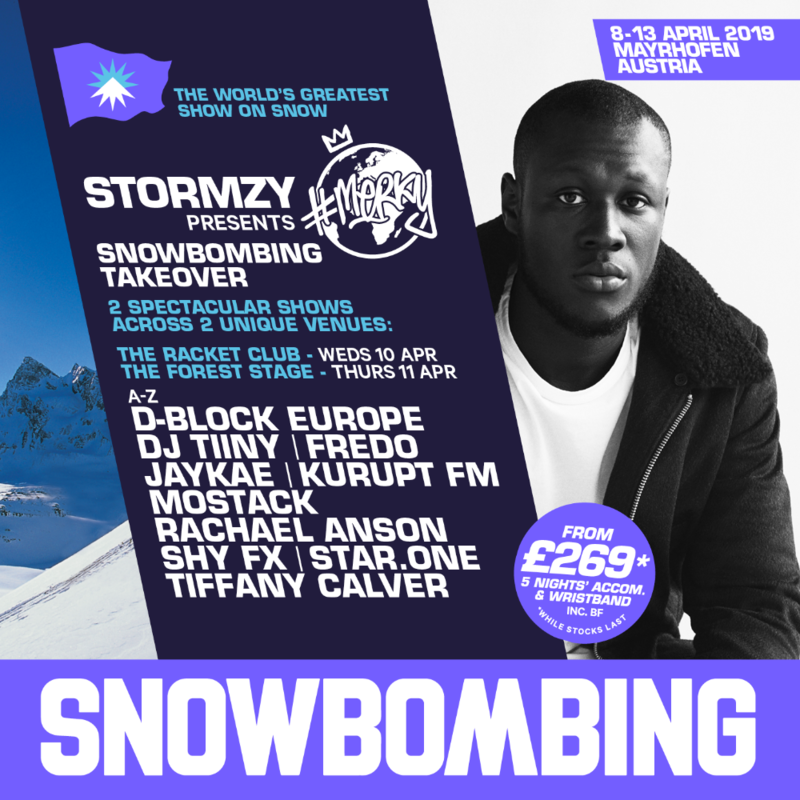 Check out the Snowbombing Stormzy Takeover lineup! The Snowbombing 2019 lineup is out and Snowbombing 2019 tickets are below! The Snowbombing phase two lineup for 2019! 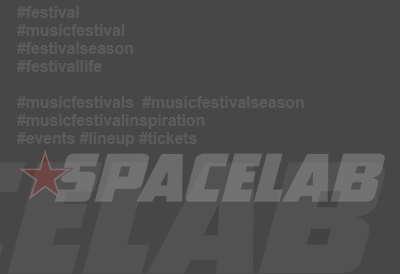 Camelphat, George Fitzgerald, Sub Focus, High Contrast, Mall Grab, Fabio & Grooverider, Moxie,Horse Meat Disco, Flava D, Emerald + more are new additions! The Snowbombing 2019 Stormzy Takeover lineup! Who do you want in the Snowbombing lineup?